What is a Lumbar Cool Hybrid Mattress – EasyPay Finance Today! 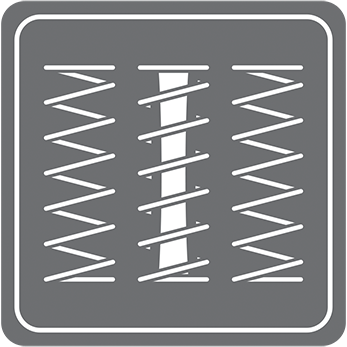 Lumbar Cool Hybrid coil mattresses combine an innerspring system with memory foam to deliver the benefits of both technologies. 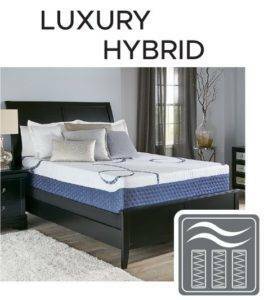 Hybrids allow sleepers to enjoy the perfect blend of sturdy support and contouring comfort. A Hybrid coil system enables the mattress to retain the bounciness that sleepers enjoy on innerspring mattresses, and the layers of memory foam create that unmistakable enveloping embrace. The right mattress at the right price. Hybrid mattresses are often less expensive than memory foam mattresses, and they perform better than budget memory foam mattresses. 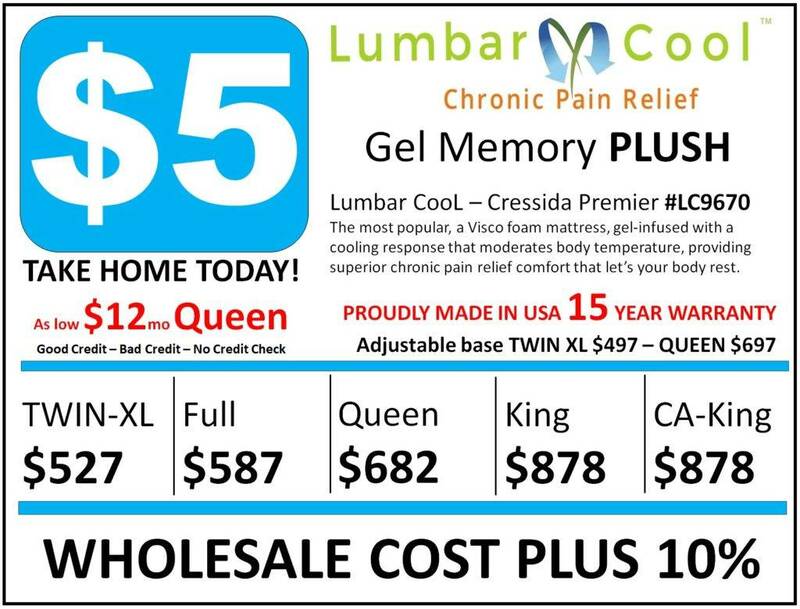 Lumbar Cool Motion – Adjustable Massage Base Improves Your Health! —>> $5 Take Home, Then Pay! We LOVE Lighting! Add light like a PRO.